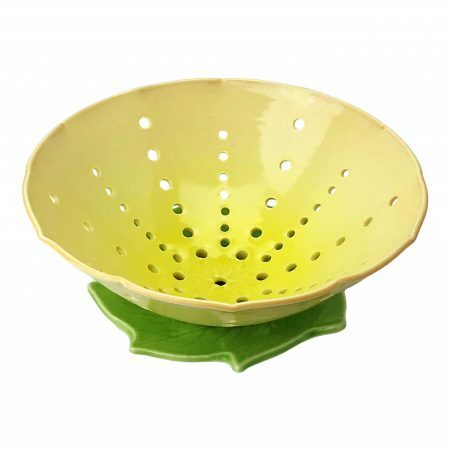 Cheerful berry bowl with accompanying dish to catch any drips. 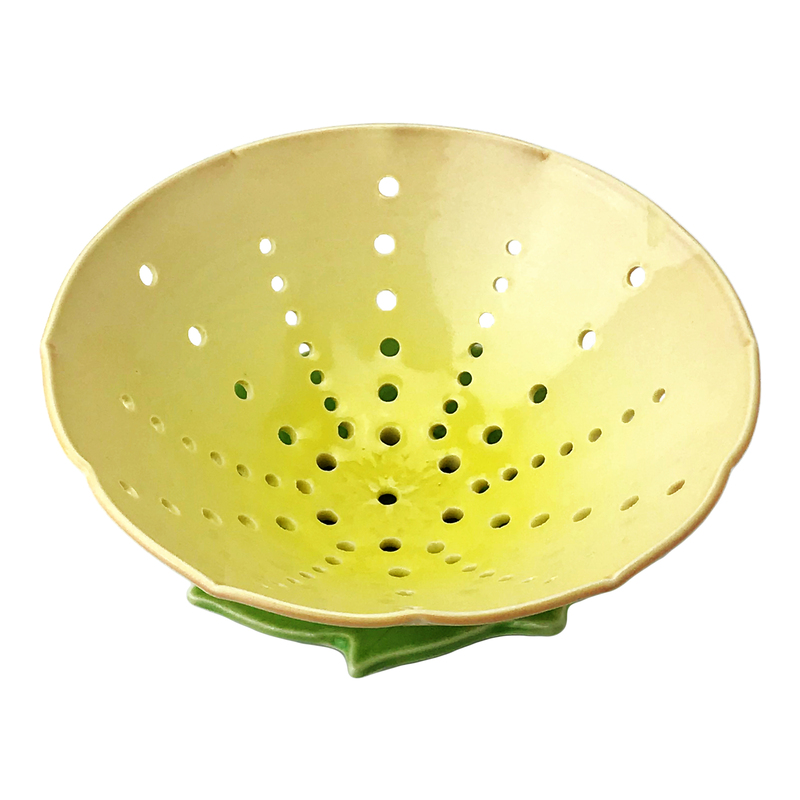 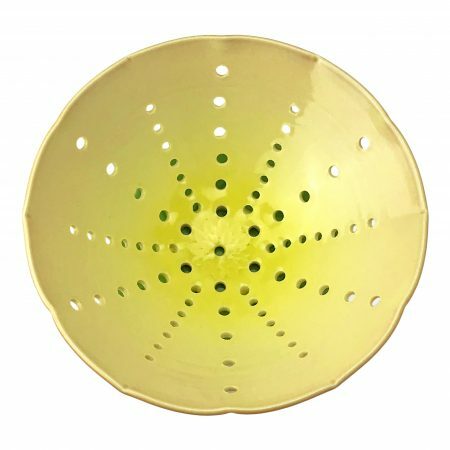 Bright Yellow colander with gradual hints of creamsicle orange at the rim. Set includes colander and drip dish. 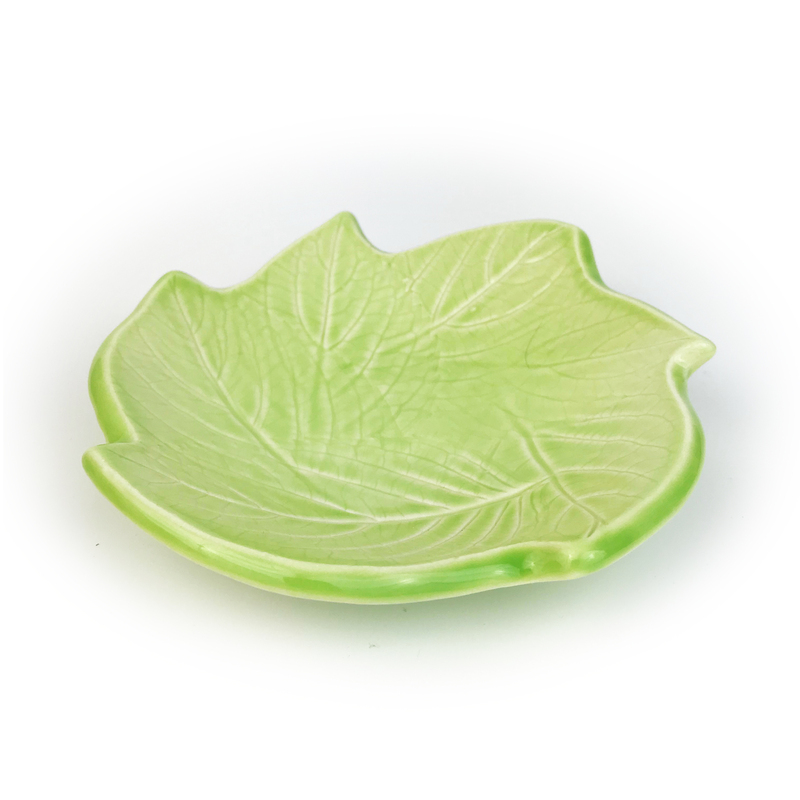 The set suggests a cheerful spring blossom when used together.